In 1963, Herbert B. Hyman started The Coffee Bean & Tea Leaf®. His dedication to finding and serving the best coffee and tea in the world made him the founding father of gourmet coffee in California. 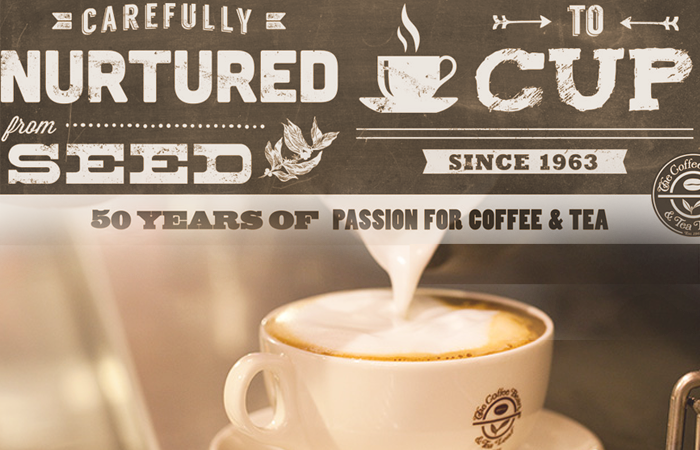 Now, nearly 50 years old, The Coffee Bean & Tea Leaf® has grown into one of the largest privately-owned, family-run coffee and tea companies in the world. Along the way, The Bean, as it is affectionately known, has become the model for a successful coffee and tea company. Since 1963, we have continued to search the earth for only the finest and rarest loose-leaf teas and premium coffees. Today, we proudly offer over 22 varieties of coffee and 20 kinds of tea. Over the years, we have worked hard to build relationships with individual farms and estates so that we can be assured of the best coffee and tea harvests available. Our coffee is roasted fresh daily in small batches in a manual European roast style, then packed using state-of-the-art equipment for shipment in our own roasting facility and delivered fresh daily to our stores.